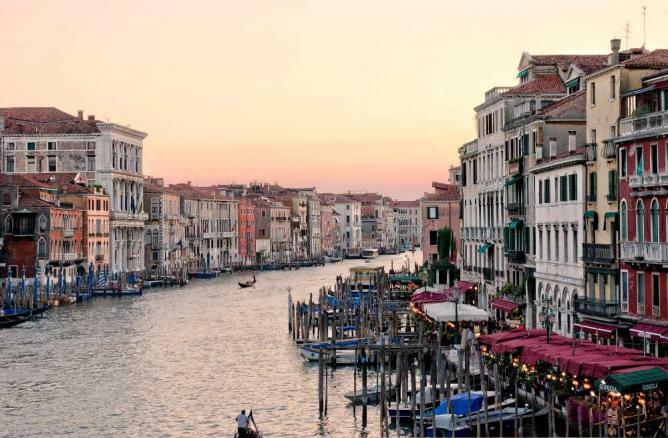 Home to a wealth of rich cultural history, there are numerous things to do in Venice. Here we’ve selected ten unmissable destinations that readers should visit. 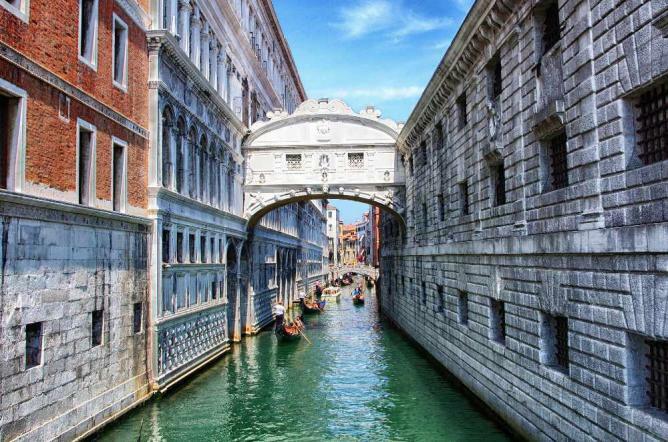 Perhaps Venice’s most famous architectural jewel, the Bridge of Sighs is situated in the city center near the Piazza San Marco. Its name derives from the fact that it was part of the Doge’s Palace prison complex, and convicts had to cross it to go from the Doge’s interrogation rooms to the New Prison once they received their sentence. It was the last thing they saw before their incarceration, so many sighs could be heard as they walked through the bridge, resigning themselves to their imminent fate. Today, the bridge has much happier connotations, with millions flocking each year to witness its beautiful design. 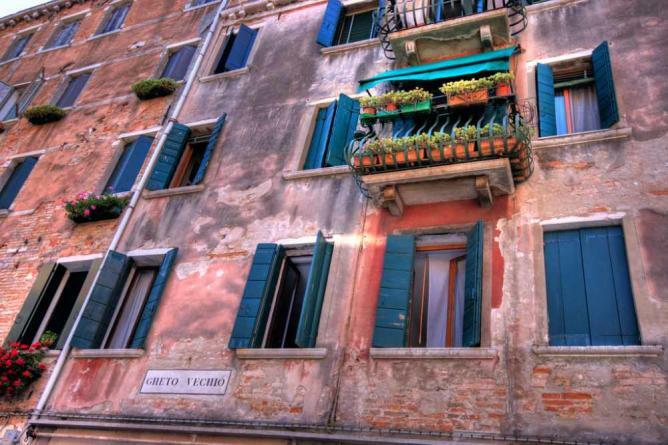 Visiting the Jewish District in Venice is one of the top things for visitors to do in the city. It was the world’s first ghetto (in fact the word ghetto itself comes from Italian), established in 1516, when the Venetian Republic restricted Jews to this area of the city. Today there remains a distinct Jewish population in the area, with numerous synagogues, Jewish restaurants, delicious bakeries and a museum, making the area a fascinating source of culture and history. Three of Venice’s major sites are located in this square: the Basilica di San Marco,a Byzantine marvel, the Torre dell’Orologio, and the Doge’s Palace – a Gothic palace that was also the seat of the government under the Venetian Republic. The piazza itself is majestic, and visitors who go to Florence in the autumn or winter months might even see it flooded, with wooden platforms set up to enable people move around and the locals wading through the water in thigh-high rain boots. There are numerous cafés and restaurants dotted around the edge, making it the perfect place to relax and take in the local culture. Do as the Venetians and go for an aperitivo in the evening. Tourists and locals alike go to bars to order a drink and eat some ciccheti (snacks), a quick and authentic Italian way of having dinner. The traditional aperitivo drinks are made with bitter alcohol, such as Campari and Aperol, and there are three main options: Negroni, Spritz and Americano. 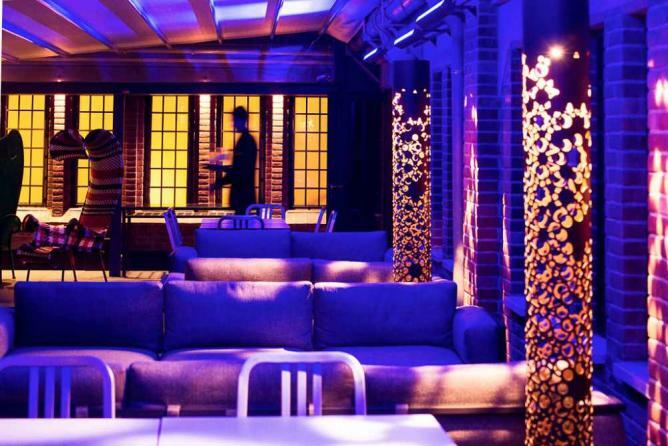 Try one of Venice’s rooftop bars – Skyline Bar has a great panorama – or go for a more informal setting at Osteria All’Arco, which is frequented by locals and known in Venice for its delicious bar snacks. 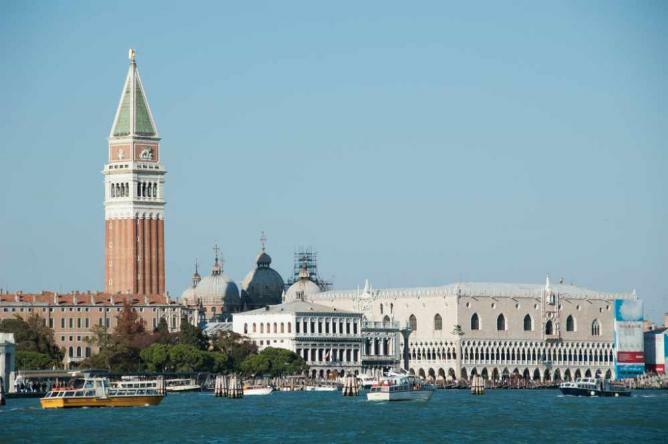 For a bird’s-eye view of Venice, visitors can ride the elevator to the top of the Campanile (bell tower). 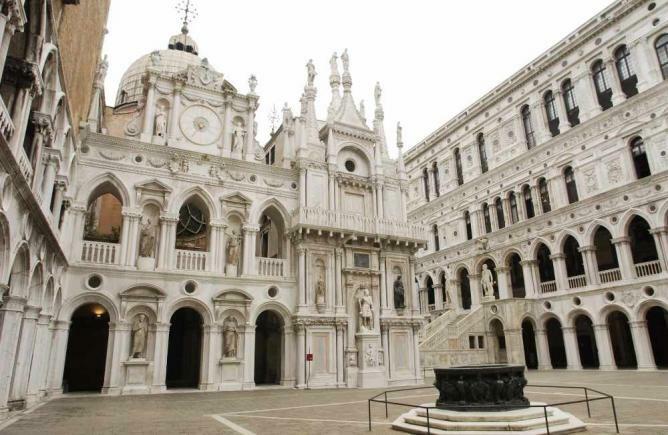 Completed in 912, it is the tallest building in all of Venice, and one of the oldest too. In 1902 disaster struck and it collapsed completely, but it was reconstructed trying to stay as true as possible to the original, so visitors today can see pretty much the same tower that Venetians saw over 1000 years ago. The Dolomites mountain range can even be seen in the distance on clear days. 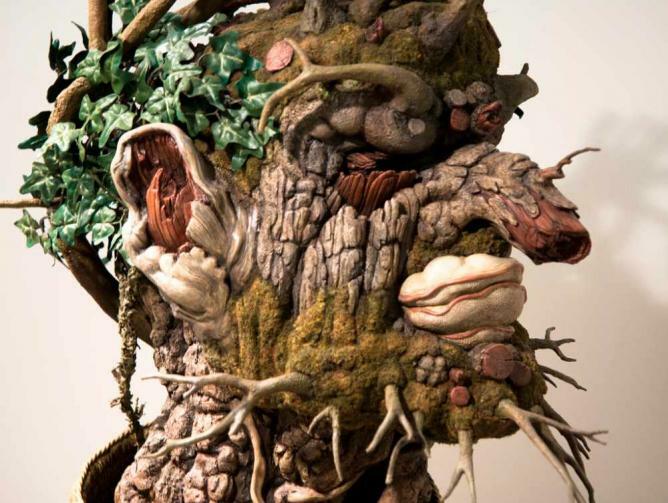 Murano, Burano and Torcello are the three most famous islands near Venice. Murano is famous for its beautiful glass, Burano for its lace, and Torcello for its cathedral. 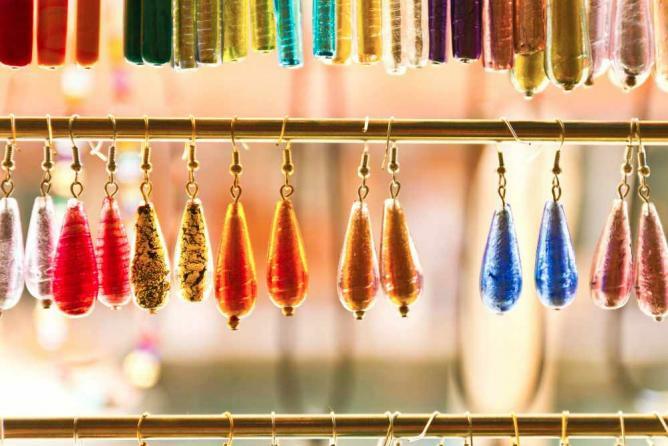 Visitors can take a guided tour of one of the glass-blowing factories and shop for pretty glass products at Murano. Burano’s lace, meanwhile, was taken to be the most exquisite in the entire continent, and the island is a cute mini-replica of Venice. In Torcello, the cathedral was built in the 7th century and the ruins of its baptistery are a striking example of Byzantine art. Visitors can tour all three in one day or choose to explore one of the islands in depth. Venetian cuisine is known around Italy, especially because of the high quality of seafood that is served in the area. The lagoon is a local source of fish that are freshly caught each day and served in many restaurants. 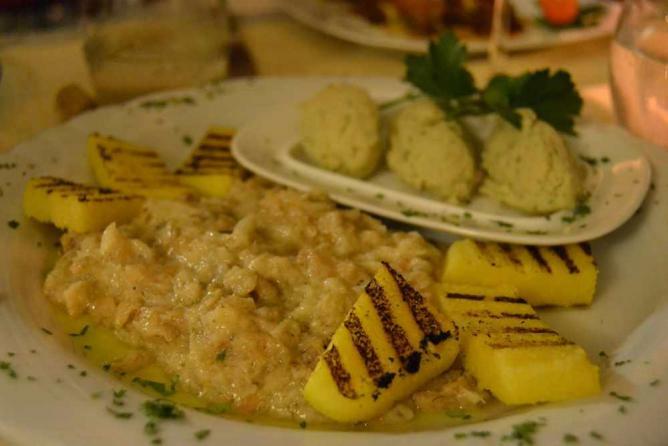 Baccalà Mantecato is one of the most typical fish dishes, consisting of dried, salted cod that is blended with garlic, parsley, potatoes and cream to make a delicious mousse. Goose, meatballs and lobster are just a few of the other delicacies visitors can taste in Venice. The Veneto region is also known for its white wine, with some of the best vineyards in all of Italy. Foodies will enjoy the Rialto markets, where the freshest food in all of Venice is sold each day, usually to the restaurants in the area. Since seafood is an essential part of traditional Venetian cuisine, the fishmongers are a must for those visiting Venice. The vegetable stands also offer excellent produce, much fresher and varied than at any supermarket. Another must when in Venice is shopping for Italian classics such as leather goods (especially shoes and handbags) and cashmere, available at many different shops throughout the city. Venetian masks can also make a good gift or memento from the trip, and for those who are really fascinated by Venice’s carnival, full outfits are available at specialist shops. Once the main routes in Venice, teeming with merchants’ ships, the Grand Canal is at present still a heavily transited waterway that runs through the center of Venice, from the railway station to San Marco. On the sides stand the beautiful palazzi – even the infamous Casanova lived in one these – which were initially built as business hubs by the city’s merchants. The vaporetto, or water bus, is a great way – and the least expensive – of exploring this canal, but water taxis are also available, as well as the typical Venetian gondolas, although tourists should be careful to avoid scams. The Peggy Guggenheim Collection houses the art of the most influential European and American artists of the 20th century, and is visited daily by hundreds of tourists. It is located on the Grand Canal, so it is very easy to reach. The Gallerie dell’Accademia displays Venice’s most important paintings. The site is made up of three buildings, which all used to have religious ties. Napoleon was responsible for the creation of this beautiful museum, not only because he closed churches all over Venice and took their artwork, but also because he set up the Accademia Di Belle Arti at this location and established that it should be a gallery as well as a school.